Ohio fugitive arrested in Florida: Frank Freshwaters caught. Frank Freshwaters in 1959 and 2015 photos. 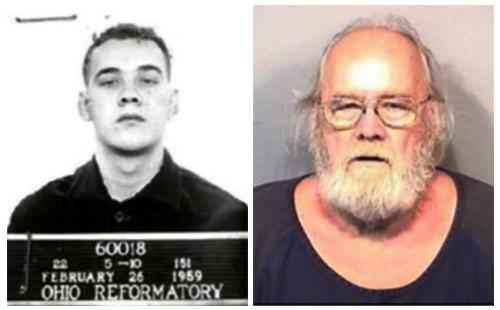 He escaped from the Sandusky Honor Farm Sept. 30, 1959. Ohio Adult Parole Authority Regional Director Todd Ishee said law enforcement believed the case was impossible to solve. Freshwaters, then of Akron, was sentenced July 3, 1957 to five years of probation after pleading guilty to voluntary manslaughter in a fatal traffic crash. Freshwaters was arrested in 1975 in West Virginia but fled after being released from prison because the state’s governor, for reasons unclear, refused to extradite him. He was located by a cold-case unit in the U.S. Marshals’ Violent Fugitive Task Force.